Looks good. Haven't had a chance to print with it yet. PLA, not ABS. Otherwise it's nice, can't really ask for more. 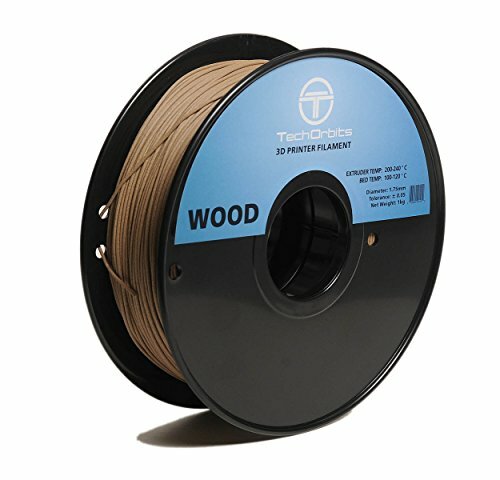 IGNORE PRINT TEMPS PRINTED ON THE SPOOL - THEY'RE WRONG! 4 of the 8 total reviews for this product are unverified purchases. While this is a higher percentage of unverified purchases than we'd expect to see, it does not appear to have a significant impact on the overall rating. 5 of the 8 total reviews for this product admitted to receiving a free or discounted product in exchange for a review. This is an excessively large percentage of incentivized reviews which may indicate unnatural reviews. We counted 8 reviews for this product over the span of 94 days, an average of 0.1 reviews per day. If these reviews were created randomly, there would be a 99.9% chance that we would see 2 or fewer reviews on any given day. We didn't find any days exceeding this threshold.